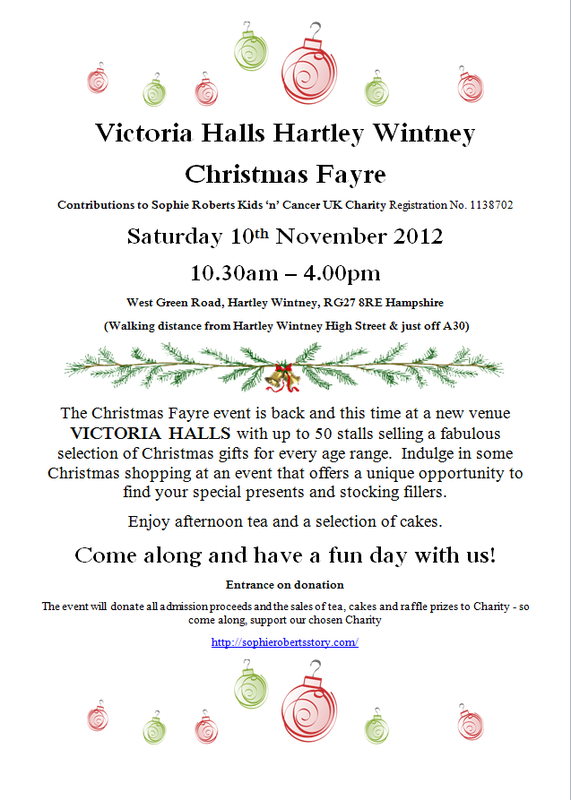 Please come along to The Victoria Halls Hartley Wintney Christmas Fayre this Saturday 10th November. There will be 50 stalls selling a fabulous selection of Christmas gifts for every age range. All admission proceeds and sales of tea, cakes and raffle prizes will go to Kids ‘n’ Cancer. A huge thanks to everyone who has offered to do events to help raise money. These are show in the calendar below and described in more detail underneath. Please let us know if anything is missing.